Eurovudas Clockhouse Log Cabin: The Eurovudas Clockhouse features 3 (small cabin) or 4 (large cabin) x Large Single Windows and a Large Double Door. This classic building has been copied many times but never improved on. The Clockhouse is simply an ideal garden leisure building suitable for any number of purposes. With its Glazed Double Doors and lots of window space this building creates a light and airy environment which is a perfect space too rest, play or work in winter and summer. 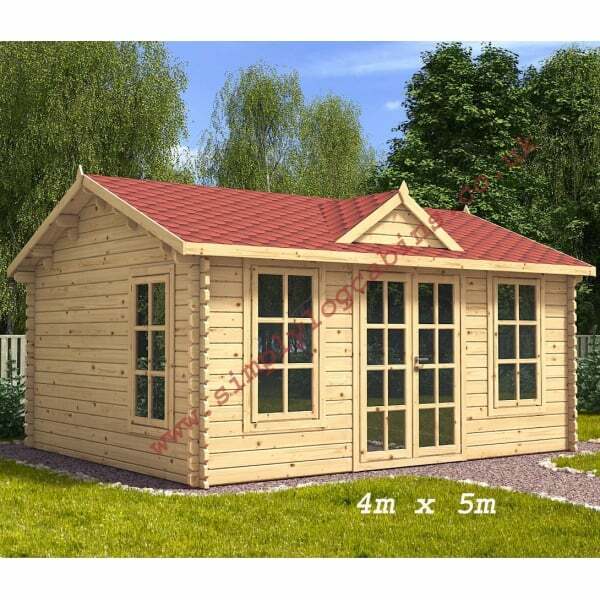 Constructed from high quality North European North European Spruce and including Double Glazing, given proper timber treatment and a flat, solid, level base the Clock House is an attractive and very durable cabin that will provide pleasure and leisure for many years.